The Scopus 10thanniversary release went live on February 1. The primary goal of the redesign was to optimize core workflows. This means effort was made to minimize the number of steps a researcher needs to take to accomplish a given task. Specifically, we focused on streamlining our interface to support the most common use cases. For a detailed review of the changes, please view the video or read the full release notes (PDF). Easier Export: When selecting the export option, a pop-out screen appears that clearly indicates the primary reference managers such as Endnote and Mendeley, using logos. After a user exports once, settings are saved enabling them to complete their next export with one-click. With the upcoming release on February 1, we would like to share some information on one of the major enhancements that will make exporting references easier. What will change? First, on specific page in Scopus, whether it is the Results page, Document details page or the new export option on the Author details page, users will be able to export references in one click. Currently, Scopus navigates to a new page when a user wants to export the selected references. As of the release, a pop-out screen will appear that clearly indicates the primary reference managers using logos. After a user exports once, his/her settings are saved enabling them to complete their next export with one-click. This is saved during the current session or across sessions for logged-in users. In addition to general improvements to the export interface, a whole new export option has been added. 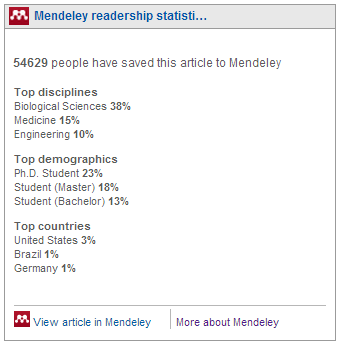 A user will be able to export directly to Mendeley.